A fine mid-Victorian, town residence offering superb three reception, five bedroomed accommodation retaining many original features and occupying a delightful position on the south eastern edge of this historic market town. 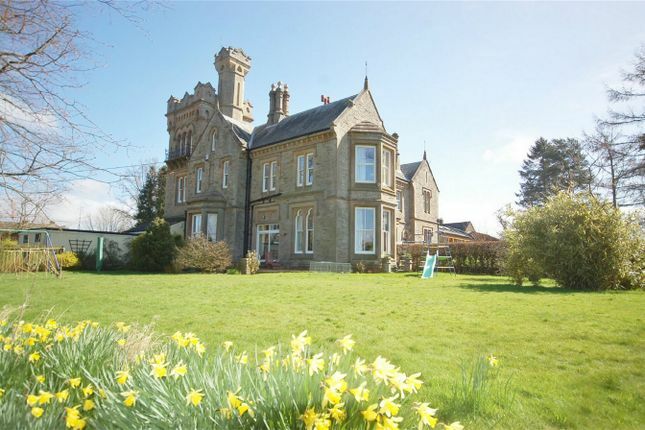 The house is an imposing sandstone building of an ornate Gothic Revival style, built by George Rowland Thompson who was born in the town in 1833. Upon the death of his father in 1861 he inherited the large Thompson estate which included the original Bongate Old Hall (1600s) which still stands close by. He was also left his father's legal of?ces and became Clerk to the Magistrate of East Ward, Appleby and Coroner for Westmorland County. Thompson was married in the same year and lived with his wife at Barbados Lodge as the Old Hall was occupied by his three brothers and three sisters. Building on the new house started around 1863/64 and the Penrith Observer in its issue of 11th July, 1865 described the then almost completed house: The new Mansion .......... Bids fair to be the most elegant residence in the neighbourhood ........ It is situated in a portion of Mr. Thompson's patrimonial estate at Bongate Town Head. The building is of Gothic order of architecture with bay windows on the north front rising two storeys. In the north-west of the principal entrance is a handsome tower rising upwards of ?fty feet. The Thompsons christened their new house "Bongate Hall" and moved in with their three children in early 1866. Five more children would be born there. Of these, the third, Anne Day [Aday] married Edward A. Heelis of Messrs E. & E. A. Heelis Solicitors, a ?rm which still practices in the town. An interesting side note is that Anne's sister-in-law was Beatrix Potter. George died in June, 1879 and his wife, Agnes, died four years later. Frank, their older surviving son inherited the estate but emigrated to Canada in 1890. After renting out the Hall he sold it in 1898 to Charles E. Vickers, but the new owner died just a year later and his Executors sold the Hall to John Elliott, Headmaster of the Wolverley Endowed School near Kidderminster. John was the husband of Frank’s sister, Anne Day Thompson Elliott. The remainder of the estate ?nally passed out of the Thompson family ownership in 1931. Bongate Hall then passed through various ownerships, ending up as a guest house before being divided in 1964 into the two residences which exist today. The principal half, now offered for sale retains most of its original features; magni?cent plasterwork, panelled doors, a mosaic-tiled ?oor in the vestibule and hallway, a grand staircase and ?rst-?oor landing, the library with carved stone ?re place and ornate wood panelling and the Tower with its balustrade balconies and narrow curved stair to the roof. The house has been extensively refurbished having been rewired, repointed, new mains water supply installed and double glazed windows fitted. A viewing of this magnificent family residence is highly recommended. Appleby is an attractive old market town with a great deal of interest and charm. Its principal development came after the Norman Conquest when its strategic position in a broad loop of the River Eden was recognised. It has close associations with Lady Anne Clifford, whose work in the 16th century is still very much in evidence today with the Castle, estates, alms houses and, of course, St Lawrence's Church, where a splendid tomb commemorates her. Today the town has a fine wide main thoroughfare, Boroughgate, with broad tree lined verges leading from the Castle to the Cloisters, described as one of the finest in England. It has an excellent range of local facilities which include shopping, schools, a leisure pool/gym complex, entertainment and a railway station on the renowned Carlisle to Settle line. The town stands between the Lake District and Dales National Parks with the Pennine Area of Outstanding Natural Beauty also close at hand. It makes an exceptional place to live surrounded by historic interest, great natural beauty and excellent local amenities. with the original, oak handsome entrance door, ?ne plasterwork and encaustic tiled floor. with an impressive oak staircase with barley twist spindles, beautiful encaustic tiled ?oor, under stairs cloak recess, store cupboard, radiators and telephone point. with modern sandstone built ?replace extended to incorporate TV/video shelving with a 8KW multi-fuel Clearview stove, sliding patio doors, TV point, full height bay with window seats and three radiators. Originally the most ornately decorated room in the house, it was 'modernised' in 1964. Fortunately half the plaster work, freeze and ceiling rose still remain, waiting for the new owner to reinstate the room to its former glory. with magni?cent ?oor to ceiling oak panelling (some dating from the 17th Century), intricate carved features, built-in cupboards, shelving and ?ne carved stone ?replace with a 6KW multifuel Stovax stove (fitted 08/15) and 1 large radiator. There is a broadband and telephone socket. with floor and wall units with solid medium oak fronts, iroko or granite tops. Stainless steel sink unit, plumbing for dishwasher, nef electric oven and grill, smeg gas hob, cornice, ceiling rose and radiator. There is ample space to convert the garage incorporating a farmhouse kitchen, on a stable block theme. plumbed for automatic washing machine and broom cupboard. Cloakroom- with WC, and wash hand basin. Cupboards with solid oak fronts to match the kitchen. with ?tted cupboards, Worcester Bosch gas ?red central heating boiler (fitted 08/15) and doors to the outside and double garage. with bay window providing superb open views, telephone point and three radiators. with white suite comprising vanity unit with sink, bath, WC, separate shower cubicle and a chrome heated towel rail. with bath and shower, chrome heated towel rail, WC, airing cupboard and radiator. High archway to Inner Landing Area with staircase to Tower and understairs store. with two built-in cupboards and radiator. with two walls of large windows and one radiator. with casement windows to front and side, stone balconies and two radiators. with sash window to front and Velux window in the ceiling, one radiator. Narrow curved staircase leading to the Tower roof with superb views to Pennines and Orton Scar. with two up and over doors, electric light, power, shelving and cupboards and an outdoor electrical socket on the south wall. Mains electricity, water and drainage, gas fired central heating to radiators. Telephone & fibre optic broadband (subject to British Telecom transfer regulations). Please note: The mention of any appliances and/or services within these sales particulars does not imply that they are in full and efficient working order. Located off the B6542, on the south/eastern edge of the town. From our office in Appleby turn left into Bridge Street, cross the River Eden and turn right at The Sands. Proceed to the brow of the hill at Beech Croft Nurseries, down past the Royal Oak on the left, and, after the next brow, is a right hand turn. Take this turning into a private driveway with sandstone pillars and black wrought iron railings and Bongate Hall West is the second property on the right. A 'For Sale' board has been erected for identification purposes. 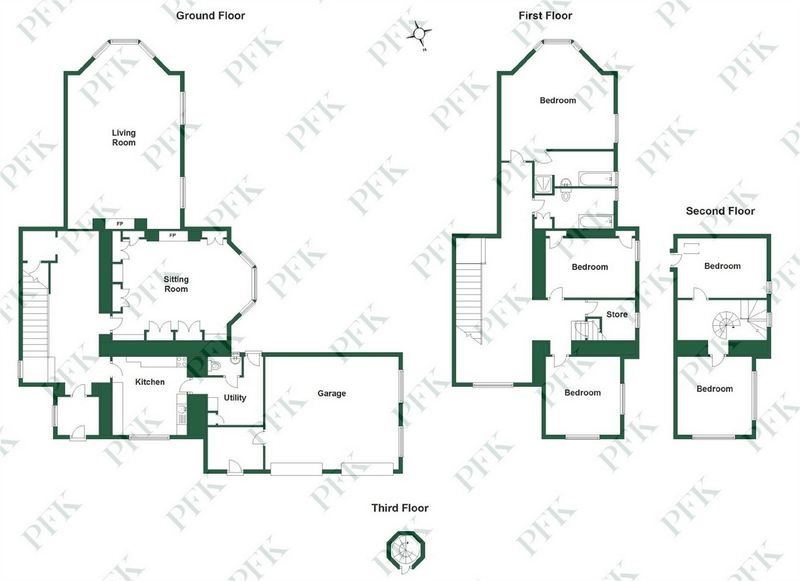 Property descriptions and related information displayed on this page, with the exclusion of Running Costs data, are marketing materials provided by Penrith Farmers & Kidds, and do not constitute property particulars. Please contact Penrith Farmers & Kidds for full details and further information. The Running Costs data displayed on this page are provided by PrimeLocation to give an indication of potential running costs based on various data sources. PrimeLocation does not warrant or accept any responsibility for the accuracy or completeness of the property descriptions, related information or Running Costs data provided here.